Uncommon Kitchen received the vote for Best Vegetarian/Natural Food 2012! 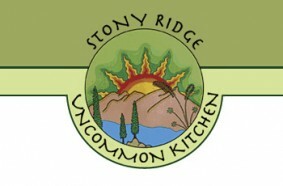 If you are looking for the best organic food option in the area, Uncommon Kitchen offers a healthy dining experience. All items on the menu are made on-site with real ingredients. The menu features hearty salads, delicious soups, noodle bowls, gourmet sandwiches, and yummy sushi on nori maki rolls made with organic rice. Owners Doug and Dawn Baehr are committed to using organic produce and dairy products as well as natural meat products when at all possible. They believe that, “there is a need for wholesome ingredients to feed ourselves, our friends and our families.” Uncommon Kitchen also offers catering, special occasion cakes and sushi platters for special events. The philosophy at Uncommon Kitchen is simple – tread lightly on our earth by reducing, reusing and recycling.